If you’re looking to write a novella, you should know what a typical novella length is. Novellas tend to be shorter than novels, but longer than short stories so it’s important to understand how many words a novella has if that’s the type of prose you intend to write. 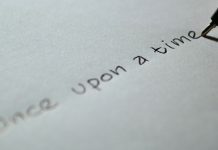 Understanding whether you’re writing a novella, novel, or short story is important as publishers evaluate these different types of prose differently. A novella should have a word count of between 30,000 to 60,000 words which is 60-120 pages, but that is just the typical novella length and there is no hard rule. Since novellas are often the size of pamphlets, few traditional “New York Publishers” will take novellas as individual books. Instead, publishers will often bundle novellas into collections with various authors and sell it as a complete book. In the digital age, novellas have become increasingly popular because of self-publishing on websites such as Amazon’s Kindle Direct Publishing. Are there examples of famous novellas? Heart of Darkness is a strictly controlled novella, with a classic status, describing a story of late nineteenth century about imperialistic and colonialist process. The Turn of the Screw is a good example of a classic novella. It is, in fact, a ghost story that challenges an easy interpretation. The story is about a governess living in a remote house, taking care of two kids, who are horrified by former dead employees. However, no one knows the truth. Next articleHow Many Pages Is 30,000 Words?